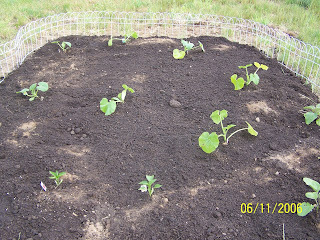 A "Victory Garden" of sorts! 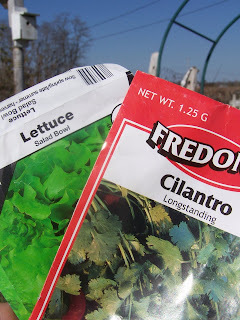 Are you putting in a veggie garden this spring? 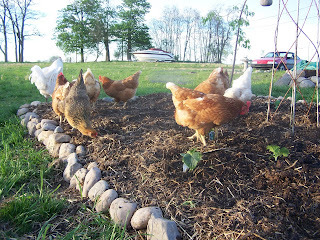 How about planting some extra and "paying it forward"? You could donate yur excess to a local food pantry. You could bring a box to your church on Sunday with a "FREE" sign. Or you could simply bless your neighbors with your fresh, home grown love! This has been a public service announcement from FarmgirlCyn! It does feel so good to pass on abundance!!!! We have a table like this at our church. If you take something, you are encouraged to leave a donation for missions. The guys at Agway told us that they're expecting a record year ... lots of gardens going in this year! Better get our canning supplies early! Great idea...but we have barely any sun...any ideas for shade gardens? I could bake something... Congrats on your giveaway win today...nice to visit your blog...I will be back again! We love to share our extra produce...but I also can extra salsa and raspberry and strawberry jam for Christmas gifts and for little pick-me-up gifts for others during the year. I get a lot of satisfaction from doing that. NO ONE is ever ready to turn down the homemade salsa, EVER. I do have some horror stories about sharing our abundance with people who have a "you owe me" type of "attitude" about it, but I won't go there today, I'm in too good a mood! Yes, indeed, those WERE my chickens. Got rid of the lot last fall on Craigs List! Will be getting a new batch real quick, tho. Love those free-range eggs! Great idea! I really like this idea. I too hated the ending of that movie. I wanted to tell you that I love, love, love the picture of you on the blog header. It's really great. I planted WAY more tomato plants than I would ever need, so I've been carting plants to church with me for the past few Sundays to "rehome" them. 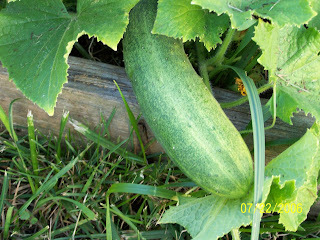 I'm hoping to have extra veggies this summer too, it's a great idea to pass it on. got it honey i will delete the comment so lurkers get it! have a very happy mothers day! God bless ya honey...enjoy the gifts! 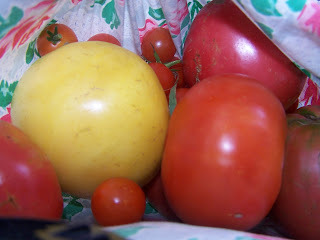 would like to invite your readers to have a chance to win heirloom garden seeds to start their own Victory Garden.